What impact does a falling birth rate have on the strength and vitality of a nation? Are citizens duty-bound to think about this question when they make reproductive and sexual choices? Few countries have grappled with these questions so intensely and with such dramatic consequences as Germany. 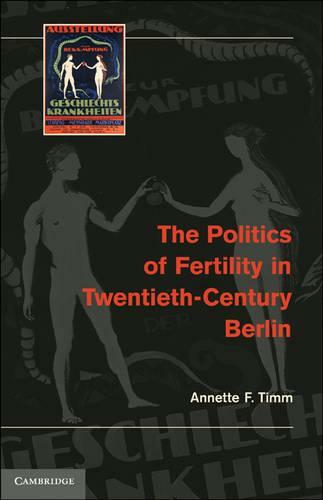 Annette Timm tracks how fears of a declining population influenced reproductive and sexual health policy in Germany from the end of World War I through the period of German division in the Cold War. A case study set in Berlin, the book examines local measures to control venereal diseases and influence reproductive choices in marriage counseling clinics. It investigates how policies meant to encourage higher birth rates created feelings of belonging even as they infringed upon personal autonomy. The idea that sexual duty should be central to conceptions of citizenship only died with the changing circumstances of the late Cold War.